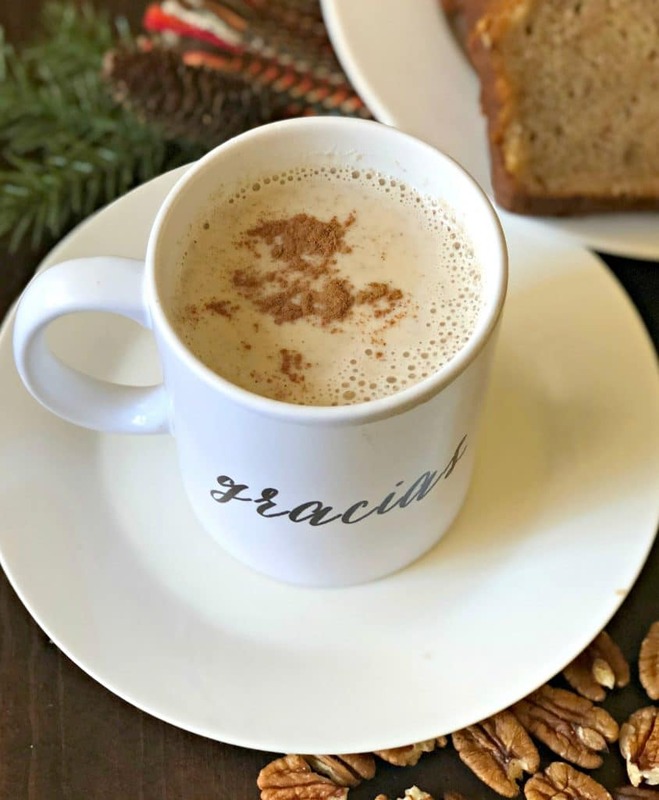 This Easy Pecan Atole Recipe only needs a few ingredients, is delicious, and is the perfect addition to your holiday traditions this year. One thing that really took me by surprise when I moved to the United States from Mexico was the difference in holiday traditions. Christmas in Mexico is celebrated, but not as much as New Year. I love how we celebrated both of these holidays in Mexico, but I also have grown to really love all of the fun Christmas traditions that I now celebrate with my family here in the United States. That said, I do love to incorporate as many of my traditions as possible also. For example, there are some very traditional recipes that are made in Mexico this time of year. 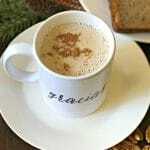 One of those is today’s recipe for Pecan Atole. Atole is a thick, sweet, and warm drink that is prepared in Mexico throughout the year. You can make so many different varieties by changing up a few of the ingredients. 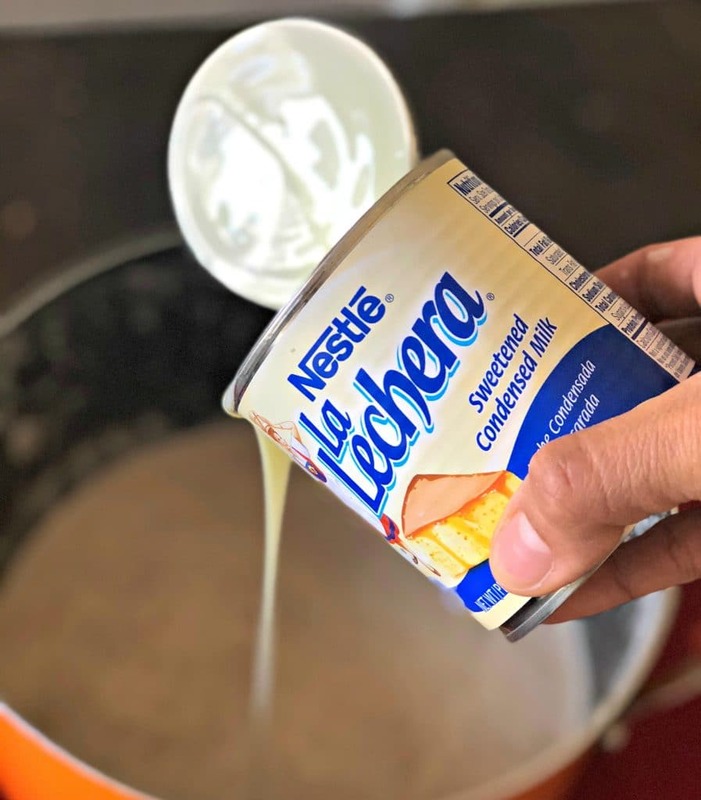 One common ingredient that you will need is La Lechera Sweetened Condensed Milk. 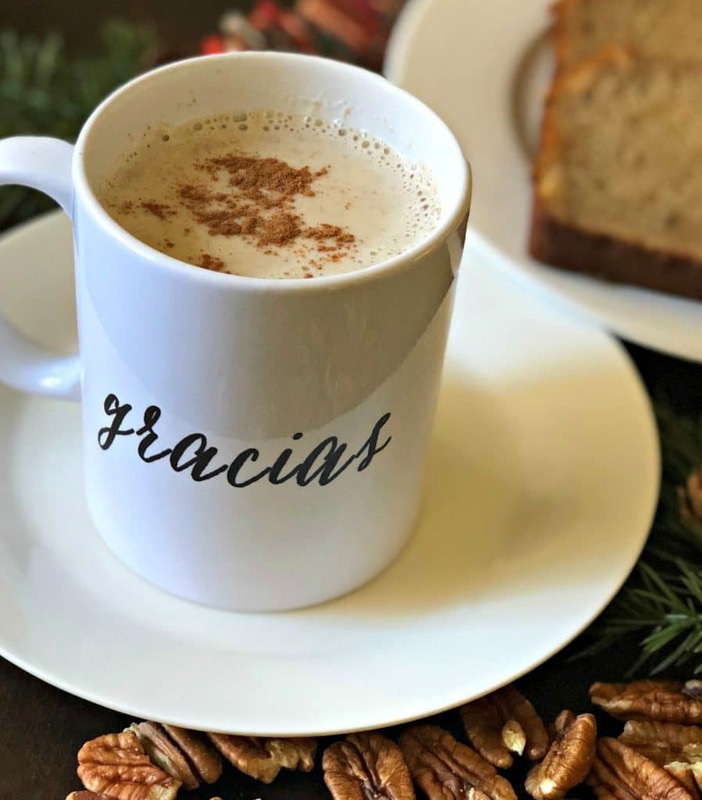 This ingredient goes great with so many different Mexican recipes, and it is an absolute must to make this pecan atole. La Lechera is available at most stores in the United States and in Mexico and I always stock up on it for the many recipes that I make this time of year. You can find even more recipes using it at this link. You will be surprised how good this tastes! The good think is that it doesn’t take too long to make, and you don’t need very many ingredients. If you are looking for something new to add to your holiday menu, try this recipe as soon as possible and don’t forget to let me know how it turns out. 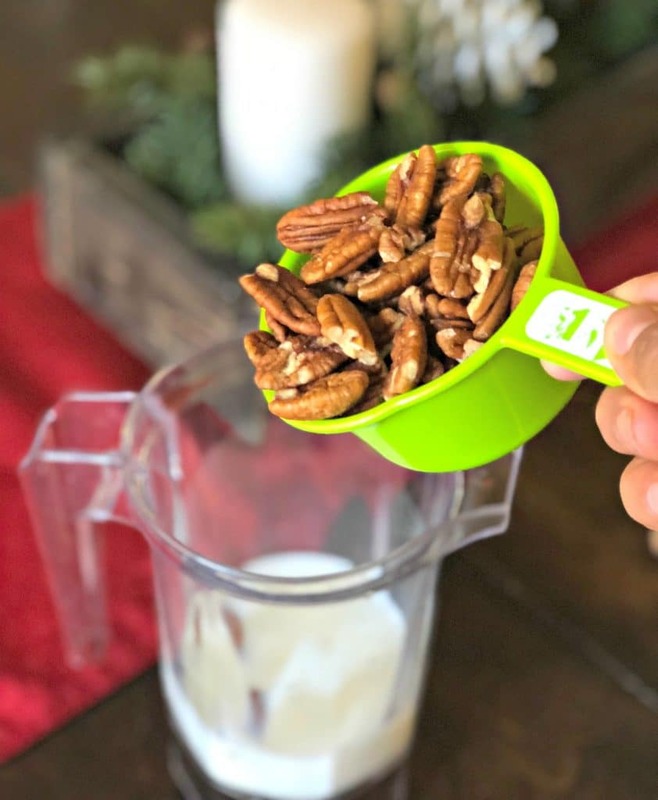 Add the pecan to 1 cup of milk and blend in a blender. Heat the rest of the milk along with the cinnamon stick and vanilla in a large pot. When the milk begins to boil, add the pecan-milk mixture and let boil for 3 minutes. Add the evaporated milk and La Lechera Sweetened Condensed Milk to the pot, stir, and let boil for 5 additional minutes. Add the cornstarch that was dissolved in water and stir until it reaches your desired consistency. Serve with freshly baked sweet bread or by itself. The first ingredient is 1 liter of water. Later you say 1 cup with the pecans in the blender. I’m not clear on the directions about the water. Does the first water you mentioned get used to dissolve the cornstarch? Can someone please clear this up for me? Thank you. Hi Debra! I’m so sorry – I did mess up on the description. It should be 1 liter of milk. You then take 1 cup of the milk to blend the pecans, and use the rest as described. The cornstarch should be dissolved in one cup of water and that is the only time the water is used. I have updated the recipe. Thanks for pointing that out!